There is a buzz about resilience recently. Resilience is the ability to recover from setbacks and adapt to challenging circumstances and is required to thrive and flourish. It is a foundational psychological tool which empowers us to feel effective and capable of handling uncertainty. Despite this definition, there has been discussion about what the essence of resilience really is. Is it a quality, skill, or personality trait? Is it genetically determined or taught? Regardless of the exact nature of resilience, current thinking is clear. We can develop and improve our resilience. Experts confirm that resilience is a quality and a skill that can be enhanced, yet requires effort and consistency. No one is protected from facing difficult situations in life. So, why do some people bounce back and others get stuck? By providing scientific research, we hope to build the case for how you can improve your resilience through engaging in exercises and activities. We invite you to explore these practical strategies and tools to build resilience. Developing resilience is a personal journey. The key is to identify ways that will work well for you as part of your own strategy for fostering resilience. Deliberate practice combined with self-awareness are critical to enhancing resilience. Resilience activities are ways we can develop it like a muscle, as it needs to be worked in order to get stronger. Through activity, these skills can be developed through small, incremental wins. It is the habits that form the foundation of our mental beliefs that matter when the going gets tough. The resilience tools suggested in this article are intended to be a starting phase for your journey of building resilience and mental toughness. We can adjust our paradigms by re-creating narratives we tell ourselves. We can get stuck in re-playing the same stories, which may not be helpful or productive. By creating a healthier storyline, we foster our sense of control and how we interpret events. A study conducted by Pennebaker, et. al (1988) indicated that individuals who engaged in therapeutic writing experienced more well-being and happiness (i.e. resilience) months later. Consider an example in your life where you continue to repeat a story that produces worry or anxiety. Try writing out a new version with a more positive interpretation. Recognize how you feel in the process. In her book The Upside of Stress, Kelly McGonigal (2011) recognizes that seeing the upside of stress is not all about differentiating if it is all good or all bad. Rather, it is about how choosing to see the good in stress how you can use strengths to deal with challenges. She identifies tending and befriend is one of the best ways to do this and describes how helping others helps us develop resilience. Think of one of the most difficult events of your life. How you can use this story to help others. How can you leverage it to impact someone in a positive way? “Everything can be taken from a man but one thing: the last of his human freedoms – to choose one’s attitude in any given set of circumstances. To choose one’s way” (1959). “purpose somehow gives your brain resilience. It makes your brain stronger and more resistant to the effects of diseases like Alzheimers” (Boyle et. al, 2012). Other scientific studies support that having a strong purpose predicts health and longevity. Recent research suggests that finding meaning in life’s experiences, especially when facing challenges, is a key mechanism of resilience (Schaefer, et. al, 2013). Robert Butler with the National Institute of Health researched health and longevity and reported findings in his book “Why Survive? Being Old in America.” People who had a strong sense of purpose lived longer than those who didn’t have a clear purpose. Dan Buettner, who founded Blue Zones, also has done worldwide research. 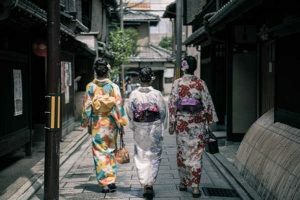 In studying women of Okinawa, Japan, it was discovered that one of key reasons for their longevity is their strong sense of purpose. Okinawans are known for pursuing their ikigai which is a concept meaning “reason for being”, or “reason for waking up in the morning.” (Buettner, 2005). Use these activities to help you discover, foster, and exercise your unique purpose. This graphic and exercise can help you clarify your meaning, purpose, and mission in life, while considering practical concerns of maintaining lifestyle, earning a living, etc. Here is a worksheet and template to walk you through this reflective exercise. Richard Leider is a subject matter expert and offers compelling and practical resources to tap into our power of purpose (Leider, 2015). Learn more about Leider’s content here. How might you apply your gifts to a pursuit that is of deep interest to you and helps others? What can you do to make a difference in one person’s life, today? What is your sentence (meaning, if you summarized your purpose in one 140 character sentence, what would it be)? If you say yes to living purposefully, what do you say no to? If you met an older version of yourself, what sage advice would they give you? If you have already tapped into purpose, consider doing a short check-up exercise that allows for you to reflect, take inventory, and recharge. The purpose checkup activity is here. Here is his Manifesto for Purpose and 10 Questions for Unlocking the Power of your Purpose. The framework for the foundation of the Positive Psychology was established by Martin Seligman and Mikhalyi Csikszentmihalyi (2000). The Positive Psychology movement has been focused on what processes and models can contribute to human beings flourishing and thriving. Since the development of Positive Psychology, much research has supported the effectiveness of such interventions and the positive impact on well-being and resilience (Seligman et. al, 20015). Seligman (2011) developed the PERMA (Positive emotions, Engagement, Relationships, Meaning and Accomplishment) model for psychological well being. The following activities are around the key PERMA themes. Research proves that identifying and leveraging strengths enhances resilience. 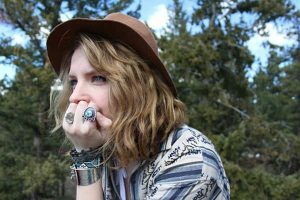 A study led by Sherry Hamby of the Life Paths Appalachian Research Center in Monteagle, Tennessee highlights the importance of a strengths-based approach in helping people recover from trauma (Hamby et. al, 2018). A great place to start is to reflect on your individual talents and strengths and consider how you can make a difference using them. The Values in Action signature strengths survey measures 24 positive character traits, among them curiosity, creativity, bravery, persistence, integrity, fairness, leadership, and self-regulation. You can take the test here. Ask 5 people close to you to send in writing what they see are your top strengths. Sonya Lyubomirsky research shows that one of the best ways to boost happiness and resilience is to perform acts of kindness, volunteering, mentoring, or even expressing gratitude toward others (Lyubomirsky, et. al, 2005). Consider a formal volunteering program in an area you are passionate about. The practice of gratitude is one of the most time-tested and proven methods for enhancing resilience. One study published in the Clinical Psychology Review confirmed the benefits of habitually focusing on and appreciating the positive aspects of life on resilience and well-being. (Wood, et. al, 2010). Researchers Robert Emmons and Mike McCullough found that people who kept gratitude journals experienced improved well-being (2003). Every day for the next week, write down 3-5 things each day that you are grateful for. Write a letter of gratitude to people who are special to you. Tell people you see everyday what you appreciate about them. Consider ending your day by reflecting on and writing down 3 good things that happened today. Be intentional about reflecting on the experiences, noting how you felt, and what was the best thing about the experience. “Flow” is the term used by researchers for optimal states of consciousness, those peak moments of total absorption in an activity (Csikszentmihalyi, 1997). Research across various domains has shown the positive impact of experiencing a flow state on resilience. Laughter has been found to boost resilience. A study evaluating humor induced positive psychology interventions identified the benefits of incorporating daily humor activities to induce laughter reduced depression and increased joy for participants, even months later (Wellenzohn, et. al., 2016). Write down the three of the funniest things you have experienced, seen, or heard that day. Provide detail and note how they made you feel. If you can’t think of anything, do an online search for funny stories or anecdotes. Social media can be a good source for funny material. Write down why you found it funny. The more specific you are, the more effective the exercise will be. Write these three funny things at the end of your day. Doing so will foster a new habit and may help you absorb the emotion more as you are going to sleep. Looking at the bright side is scientifically proven to enhance our resilience. In a 2014 study, participants who went through such an exercise increased their resilience, were more engaged and experienced decreased negative thinking (Sergant & Mongrain, 2014). Other studies have also supported the positive impact this cognitive re-appraisal exercise can have on resilience (Troy et. al., 2010). Think about an upsetting experience you have had recently. It could be a small example (i.e., my kids missed the bus this morning). Rather than focusing on the frustration of the experience, reflect on three positive things about it. Maybe it offered you time to have a special talk with your child on the way to school, or allowed you to see the sunrise from a different place, etc. Mindfulness is defined as “paying attention in a particular way: on purpose, in the present moment and nonjudgmentally” (Kabat-Zinn, 1994). Scientific research has supported the benefits of mindfulness for many years. Recent studies indicate that psychological resilience is enhanced in mindful individuals (Bajaj & Pande, 2015). In other words, mindfulness can foster resilience. Body scan is one form of mindfulness meditation, focused on the physical experience of mindfulness. It is a technique that hones your attention on different areas of your body to gain awareness and optimize your sensation. Scientific research indicates that practicing body scan techniques is linked to greater well-being and increased resilience (Camody & Bear, 2008). In this video, Dr. Elisha Goldstein will walk you through a brief 3 minute body scan. Dr. Andrew Weil explains the 4-7-8 exercise here. We are often most critical of ourselves and quicker to show compassion to those hurting around us. How we respond to our own stress and challenges is important. Research findings indicate that self compassion skills promotes resilience and serves as a protective emotional mechanism (Trompetter, et. al., 2017). Think of a difficult circumstance in your life that has been concerning you. Write down some details about the event. What would you tell a friend in that situation? What tone would you use? What actions would you take? Mental toughness can be defined as how effectively individuals deal with stress, pressure and challenge. The Mental Toughness Questionnaire assessments are online psychometric measures developed used to assess Mental Toughness. They have been developed in collaboration between Professor Peter Clough of Huddersfield University and formerly of Manchester Metropolitan University, and Doug Strycharczyk, Managing Director of AQR. Many psychometric tests measure behaviors and personality traits. The MTQ test developers propose that how we think is a key driver for the development of behaviors and attributes. Professor Peter Clough’s research identifies four components of mental toughness: Control, Commitment, Challenge, and Confidence. There are two tests designed here to measure Mental Toughness: the MTQ48 and MTQPlus. Both psychometric tests are normative, which allows users to compare their scores before and after a training or development program. You can learn more about the Mental Toughness Questionnaires here at this link. The late Al Siebert, PhD founded The Resiliency Center in Portland, Oregon. He developed a quick resilience test. Take this quiz, adapted from The Resilience Advantage (2015). 10-30: Some Resilience — You have some valuable pro-resiliency skills, but also plenty of room for improvement. Strive to strengthen the characteristics you already have and to cultivate the characteristics you lack. You may also wish to seek some outside coaching or support. 30-35: Adequate Resilience — You are a self-motivated learner who recovers well from most challenges. Learning more about resilience, and consciously building your resiliency skills, will empower you to find more joy in life, even in the face of adversity. 35-45: Highly Resilient — You bounce back well from life’s setbacks and can thrive even under pressure. You could be of service to others who are trying to cope better with adversity. Start with a centering breath. Breathe in for six seconds. Hold it for two seconds. Breathe out for seven seconds. Visualize your personal highlight reel for 60 seconds—thinking of three things you’ve done well in the past day. Mentally rehearse three important things you need to do today. Repeat your identity statement for five seconds. 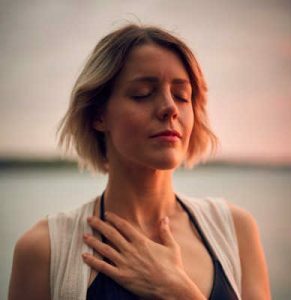 Finish with another centering breath cycle—breathing in for six seconds, holding for two and then exhaling for seven. “Much of mental toughness is simply attitude and self esteem,” writes Stewart Smith, a former Navy SEAL and author of The Complete Guide to Navy SEAL Fitness. Several of his suggested activities are noted here. Smith proposes that often the simplest form of mental toughness is to simply tell yourself, “It’s my job.” Write down job descriptions for the roles you play and hats you wear (husband, mentor, daughter, brother, coach, etc.). Review these descriptions weekly and consider treating them like duties, meaning non-negotiable. Consider the commitments you’ve made by taking on these roles, so that even when you are tired or unmotivated, you will keep your word. Knowing others are counting on you can foster your own sense of commitment. Smith identifies the importance of having a strong team and support network around you in determining mental toughness. When faced with challenges, this becomes even more critical. Write down the names of important supports in your life. Under each name, write down two things you can do to strengthen your connection with that person in the next week. 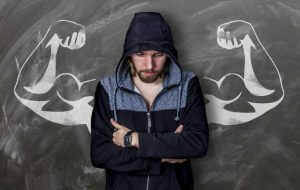 The Mental Toughness Trainer website offers some activities or “drills” to enhance mental toughness. Take time away from the daily grind of training to visualize what you want. Find an imagination/visualization practice that works for you. Get specific and detailed about envisioning yourself achieving success. Watch this clip of a very famous athlete to help gain insight: From :19 to :47 seconds. Think of your best performances, and tap into as many senses as you can. Consider, pictures, your inner voice, sounds, smells, thoughts or feelings in your mind to make it real. The philosophy of Stoicism endorses being resilient: strong, steadfast, and in control of ourselves. Ryan Holiday, author of The Obstacle is the Way, provides this helpful summary of stoicism and highlights key practices. According to a well known stoic, Seneca, we should prepare ourselves for difficult times even while we are enjoying the good ones. He identifies the importance of building resilience to prepare for obstacles. This exercises involves taking a few days every month to practice a state of poverty or greater need than what we are used to. By doing so, we may experience less worry about what we fear. It is important to note that this is an actual exercise rather than a reflection. It is not suggested to “think about” misfortune, but to actually live it. Try removing some of your regular comforts and conveniences for 2 days. The Stoics had an exercise called Turning the Obstacle Upside Down in order to train their perception. It involves turning a problem upside down, so that every “bad” can become a new source of good. If we have a difficult person in our life, the practice would tell us that they are a good learning partner who is teaching us patience, understanding, and tolerance, rather than focusing on the frustration. Consider a challenge in your life. Reframe the obstacle so that you see it as a an opportunity for growth. This is an exercise to worry less about what others think of you. Consider this – what others think of you is actually none of your business. We all spend more time than necessary caring what others think. To address this concern, the Stoics endorse loving and appreciating yourself, fully embracing how unique and different you are. Take time to reflect on your unique qualities. What sets you apart from others? What special value do you bring? How are you different? How can you celebrate others uniqueness? If we compare, we despair. So, separating our individuality and not being threatened by the strengths of others is freeing and in turn, builds our resilience. Discuss with the group what resiliency is (the ability to bounce back, bounce forward from tough times). Have each participant write down their own definition and provide an example of when they or someone they know has been resilient. Form two large concentric circles. The participants in the inner ring circle share their definitions. Those in the outer circle share their example. Then, rotate back to the inner circle for them to share, and outer circle then shares their definition. Rotate turns until everyone has shared. At the end of the exercise, draw a Y chart on a whiteboard or large paper for everyone to see. As a group, brainstorm the essence of what it looks like, feels like and sounds like to be resilient. Here is a group activity designed to introduce, educate, and spark discussion on resilience. A picture tells a thousand words… A great way to introduce a topic. Spread miscellaneous pictures or magazine cut-outs on the floor. Ask participants to choose a picture card they think best relates to the word resiliency. Participants then share what their card means in relation to resiliency and what resilience means to them. You can learn more about Reachout.com activities here. Open the session by reading horoscopes from a newspaper or magazine and facilitate a short group discussion. Why do we think people read them? Are they true? Explain that they are now age 25 and they are going to write their own horoscope for their lives at age 25. Areas to cover within their horoscope are: family, career, relationships, money and housing. Encourage them to include hopes, dreams and ambitions, how they feel about themselves and how others will see them. Once everyone has completed their horoscope invite them back as a group to share or discuss with the person next to them. Discuss with the group what is important about making time to do things they enjoy. Highlight the replenishing benefits of engaging in activities we are passionate about. Have individuals write on a note card what they love doing and why. Come together as a group to share what they love doing and what the benefits are of these activities. You can learn more about this resource and additional activities here. Identify the resilience skills and strategy you currently use. What works well? Identify 2 resilience skills you would like to develop. Write 1 goal for each of the skills you identified. Identify potential obstacles in developing these skills. It can be helpful to recall past memories of times you have succeeded and felt effective. Remembering our positive performance and achievement can foster a sense of self-efficacy and in turn, build our confidence and resilience. Write down 3 experiences when you overcame a tough situation, and were still able to perform at your best and be optimally effective. How were you able to do it? What worked well for you? What is important to keep in mind for next time? Forgiveness fosters resilience. According to Harris et al (2006), after completing a six-week forgiveness training (90 minutes/session), individuals reported lower stress, anger, and hurt than people who didn’t undergo the training. Participants felt more optimistic and capable of forgiving immediately post training as well as four months later. Forgiveness involves letting go of resentment or anger toward an offender and finding some peace with a concerning situation in order to move forward in a healthy manner. The process of forgiveness can feel overwhelming or abstract, so Dr. Fred Luskin of Stanford University has developed nine steps to walk people through the process of forgiving someone who hurt them. The Greater Good in Action website provides an activity/worksheet walking through these 9 steps. You can access the steps here. Conflicts with others can foster and fuel negative emotions. Learning to address conflict more effectively will enhance our resilience overall. We naturally interpret situations from a first person perspective, being concerned with our own thoughts and reactions. By becoming a detached observer and considering a third person perspective, studies indicate that we can reduce our level of distress and anger. Finkel et al (2013) had couples practice such exercises regularly for one year. Subsequently, participants reported feeling reduced distressed around conflict. This activity allows to practice taking a third person point of view by taking a step back and observing the situation from another perspective. The suggested steps are outlined here on the Greater Good Science website. This Emotional Resilience Toolkit was developed by Glasgow CHP South Sector Youth Health Improvement team in partnership with The South Strategic Youth Health and Wellbeing Group. It provides various worksheets and resources in quick guide format. It was designed to be utilized by people working with youth aged 10 and older. Working Minds UK published a developing emotional resilience workbook. This interactive workbook provides education, exercises to self evaluate, and practical activities to develop resilience. The material addresses how to recognize and manage emotions and how to develop emotional regulation. Case studies are presented and reflect the connection between thoughts, physiological reactions, feelings, and behaviors. 1. Recognize Your Signs of Stress. 2. Focus on Building Physical Hardiness. 3. Strengthen the Relaxation Response – Calm Body and Calm Mind. 4. Identify and Use Your Strengths. 5. Increase Positive Emotions on a Daily Basis. 6. Engage in Meaningful Activities. 8. Create a Caring Community. Identify your sources of support, at work, at home, and in the community. You can find the plan worksheet here. Mental Workout Worksheet following his 5 Step Process. Goal setting for greatness worksheet, link here. Reach Out Resources on Building Resilience in Young People – here, you can find miscellaneous webinars, activity sheets, and resources on building resiliency in young people. Creativity is a resource for coping with stress and increasing resilience. It can be picking up a new creative habit, or seeing things in a different way. Get outside your comfort zone to explore with a new craft activity. Consider taking a class or buying tools at a craft store to try something new: drawing, painting, sketching, clay, sewing. YouTube provides many DIY craft ideas and project ranging in skill level, cost, and commitment investment. Collage: Collect scraps of ideas, magazine pictures, words, symbols, images, nature items, leaves, petals, etc. Don’t look for immediate connections, yet be open to allowing these scraps to overlap in new ways. Combining ideas and creating new patterns are key practices of creativity. Use the items to make a collage and let the theme emerge. Adults have the opportunity to help children boost their sense of resilience. Resilience researchers Steven and Sybil Wolin (1993) report that that how a child’s self-concept develops over time depends on the environmental mirrors in that child’s life. They discovered that the most meaningful situational protective factor for developing resilience is one or more caring, believing alternate mirrors. Find a time take this action today by mirroring someone’s strengths back to them. The following classroom activities are suggested by Laura Namey in Unleashing the Power of Resilience. 1. Promote self-reflection through literary essays or small-group discussions. After children have read a book or heard a story that features a heroic character, encourage them to reflect by answering the following questions. Who was the hero in this story? Why? What challenge or dilemma did the hero overcome? What personal strengths did the hero possess? What choices did he or she have to make? How did other people support the hero? What did the hero learn? How do we use the same personal strengths when we overcome obstacles in our own lives? Can you share some examples? 2. Encourage reflection through personal essays. Writing stories about personal strength can help reinforce resilience building activities for youth. By exploring answers to the following questions, they can foster insight of their strengths and what need in healthy relationships with others. Write about a person who supported you during a particularly stressful or traumatic time. How did they help you overcome this challenge? What did you learn about yourself? Write about a friend that you supported as he or she went through a stressful event. What did you do that most helped your friend? What did you learn about yourself? Write about a time in your life when you had to cope with a difficult situation. What helped and hindered you as you overcame this challenge? What learning did you take away that will help you in the future? 3. Schedule discussions about human resilience into the classroom. In order to raise awareness, schedule class time to discuss how resilience is connected to personal success and positive social change. Share examples of figures they are familiar with and how they overcame obstacles to reach their goals. SuperBetter is a gaming app designed to increase resilience. Jane McGonigal, stress researcher, designed the game to help people become more capable of getting through any tough situation and more likely to achieve the goals that matter most. Her research supports the positive impact of such gaming on resilience, even in only 10 minutes/day. Gaming activities provide a way to bring the strengths you already demonstrate in life: optimism, creativity, courage, and determination. It provides a safe space to practice these skills, then transfer them into real life. Play SuperBetter Games 10 Minutes a Day. Learn more here, and download the free app on ITunes here. Take a break to foster resilience. Psychobiology expert Ernest Rossi, Ph.D. studies ultradian rhythms and how they impact our ability to focus and be effective. In his book The 20 Minute Break (Tarcher, 1991), Rossi reports how people have a biological need to take a 20-minute break after 90 minutes of activity in order to operate at peak efficiency and effectiveness. He identifies the process of rest as a “stress conversion” exercise. Not only does it feel good to take a break, it is a scientifically replenishing experience to build resilience. For one week, schedule breaks every 90 minutes into your calendar. Experiment with these stress conversion time blocks on your calendar and observe how it impacts your performance. In “The Power of Full Engagement, Managing Energy, Not Time, is the Key to High Performance and Personal Renewal,” Tony Schwartz and Jim Loehr argue that energy, not time, is the fundamental currency of high performance (Schwartz & Loehr, 2005). They propose that by effectively managing our energy in different areas of life, we prevent burnout and subsequently become more resilient. Energy capacity diminishes both with overuse and with underuse, so we must balance energy expenditure with intermittent energy renewal. In order to expand capacity, we need to push past our comfort zone, training as athletes do to enhance performance. In order to build muscle strength, we must incrementally stress it, expending energy beyond normal levels. The same applies to increasing emotional, mental and spiritual capacity. Schwartz & Loehr maintain that positive energy rituals, such as highly specific routines and activities are critical for managing energy and building resilience. What do you do to optimize energy in all 4 areas of your life daily? What could you do? What rest/recovery rituals are incorporated into your day? What do you do to disengage? What activities do you find replenishing? Where are you stretching yourself and growing in each of the 4 areas? The Human Performance Institute offers offers a free mini assessment to evaluate your physical mental, emotional, and spiritual energy. The tool was developed to educate, help foster self awareness, and enhance training in general. Complete the Energy Profile here. Keep a resiliency journal to reference periodically. Write down a list of accomplishments, goals, and special achievements. Make note of particular challenges and how things worked out, from any time of your life. For example, learning a new game, completing a difficult project, having a tough conversation, finishing a race, acing a hard test, etc. Refer to it to energize you and promote confidence as you face new challenges. Keep your journal handy so you can add accomplishments to it throughout your life and career. According to Kelly McGonigal, tackling a pointless but mildly challenging task is a scientifically backed way to improve willpower and resilience. Engaging in practices we find nonproductive can make us more resilient. Find one tiny activity to incorporate several times into your work day, even if it is four minutes per hour. The Army has incorporated the basic principles of Positive Psychology to develop the Comprehensive Soldier Fitness program. 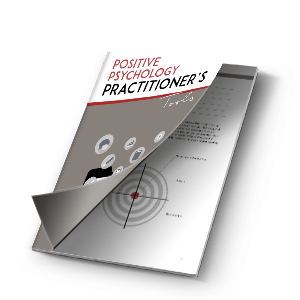 Positive Psychology’s areas of focus include building mental toughness as well as identifying signature strengths, meaning, purpose and positive relationships. The program was developed in partnership with Martin Seligman and the University of Pennsylvania’s Positive Psychology Center (Seligman, 2011). The center serves as the training hub of the program’s Master Resilience Training program for noncommissioned officers. The ABC cognitive reframing technique involves recognizing thoughts triggered by events and understanding the reactions that are driven by those thoughts. Soldiers learn to recognize an activating event (A), their beliefs (B) about the event, and the emotional and behavioral consequences (C) of those thoughts. Examples provided teach how to separate the events from self talk in the heat of the moment and how these thoughts impact emotions and behaviors. They learn to identify thought patterns that are driving adaptive as well as counterproductive outcomes. Participants learn how explanatory and other thinking patterns can enhance leadership, performance, and mental health or undermine them. Thinking traps such as jumping to conclusions are identified as examples and they can detract from resilience. Participants consider examples of thinking traps and the impact it has on others. In doing so, they can identify their deeply held beliefs, referenced as icebergs (e.g., “I can handle whatever comes my way” or “Asking for help is a sign of weakness”) and core values (e.g., “People should be treated with dignity and respect” or “We should strive for forgiveness and mercy”). if the iceberg is useful. Participants reflect on how these beliefs contribute to or undermine their effectiveness. Participants learn the importance of rejuvenation to maintain energy and resilience. They learn strategies to recover and replenish one’s resources (prayer, exercise, meditation, progressive muscle relaxation, etc). 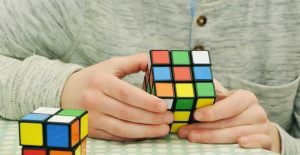 This activity involves a six-step model of problem solving used to recognize contributing causes of a problem and to identify solution strategies. Participants learn about conﬁrmation bias (the tendency to search for or interpret information in a way that conﬁrms what one already believes) and how it detracts from objectivity. Participants also learn about catastrophic thinking, or ruminating about worst case scenarios. They watch videos and discuss examples of catastrophic thinking, evaluating the impact this thinking on has on energy, focus, problem solving, and emotions. Fighting back against counterproductive thoughts in real time. They learn to challenge negative thoughts in a systematic way. Participants complete a gratitude or “three blessings” journal. This activity is referred to as “hunt the good stuff.” The purpose of the exercise is to enhance positive emotions, particularly gratitude. Participants identify their top character strengths, identify strengths in others, and practice using individual strengths and team strengths to overcome a challenge and reach a goal. Soldiers are provided with practical tools that help in building relationships. They learn the process of challenge beliefs that interfere with positive communication. Through role plays, they review communication patterns and their impact. They complete an exercise identifying their typical ways of responding and also use worksheets to help clarify how they can use their strengths to respond more constructively. Best TED TALK on Super- Resilience-How to FALL UP, Dr. Gregg Steinberg – Learn how to use adversity as your superpower in this entertaining and informative TED Talk. Resiliency Ohio has put together a powerpoint information with detailed statistics, information, resources, and paradigms, visit this link for more information. The Centre for Confidence and Wellbeing has put together a powerpoint presentation on resilience designed for parents and teachers. You can find it here. The MindMatters organization assembled this learning tool designed to educate on basic concepts of resilience, especially as it relates to students in schools. We hope you have found value in this outline blending resilience building research and tactical activities. Ideally, the information has sparked new ideas, fostered empowerment, or helped developing resilience feel more manageable. We would all likely agree that cultivating our resilience is appealing and appreciate the benefits of doing so. However, it can feel overwhelming to know where to start…or where to pick up. Finding which techniques work best may require some experimenting; yet research shows us it will be worth the effort. Scientific data confirms that by engaging in some of the outlined activities, you will experience enhanced resilience and mental toughness. Thank you for your time invested and best of luck on your resiliency journey! Bajaj, B. & Pande, N. Mediating role of resilience in the impact of mindfulness on life satisfaction and affect as indices of subjective well-being. Personality and Individual Differences, 93, 63-67. Boyle, P.A., Buchman, A.S., Wilson, R.S., Yu, L, Schneider, J.A., Bennett, D.A. (2010). Effect of Purpose in Life on the Relation Between Alzheimer Disease Pathologic Changes on Cognitive Function in Advanced Age. Arch Gen Psychiatry, 69(5), 499–505. Buettner, Dan. (November 2005). The Secrets of Living Longer. National Geographic. Campos, D.,Ausiàs, C. Quero, S., Bretón-López, J., Botella, C., Soler, J. García-Campayo, J., Demarzo, M. & Banos, R.M. (April 2016). Meditation and happiness: Mindfulness and self-compassion may mediate the meditation–happiness relationship. Personality and Individual Differences, 93, 80-85. Carmody, J. & Baer, R. (2008). Relationships between mindfulness practice and levels of mindfulness, medical and psychological symptoms and well-being in a mindfulness-based stress reduction program. Journal of Behavioral Medicine, 31(1), 23-33. Changson, B.L. (2001). The role of positive emotions in positive psychology. The broaden-and-build theory of positive emotions. American Psychologist, 56(3), 218-26. Csikszentmihalyi, M. (1997). Finding flow: The psychology of engagement with everyday life. New York: Three Rivers Press. Duckworth, A. L, Peterson, C, Matthews, & M.D. Kelly (2007). Grit: perseverance and passion for long-term goals. Journal of Personality and Social Psychology, 92(6), 1087. Emmons, R.A. & McCullough, M.E. (2003). Counting blessings versus burdens: an experimental investigation of gratitude and subjective well-being in daily life. Journal of Personality Social Psychology, 84(2), 377-89. Finkel, E.J., Slotter, E.B., Luchies, L.B., Walton, G.M., & Gross, J.J. (2013). A brief intervention to promote conflict reappraisal preserves marital quality over time. Psychological Science, 24(8), 1595-601. Frankl, V. (1969). Man's Search For Meaning: The classic tribute to hope from the Holocaust. Boston, MA: Beacon Press. Fredrickson, B.L. (2009). Positivity: Top Notch Research that Reveals the Upward Spiral that will change your life. NY: Three Rivers Press. Hamby, S., Grych, J., & Banyard, V. (2018). Resilience portfolios and poly-strengths: Identifying protective factors associated with thriving after adversity. Psychology of Violence, 8(2), 172-183. Hanson, R. & Hanson F. (2018). Resilient: How to Grow an Unshakable Core of Calm, Strength, and Happiness. New York: Harmony Books. Harris, A. H., Luskin, F. M., Benisovich, S. V., Standard, S., Bruning, J., Evans, S., and Thoresen, C. (2006). Effects of a group forgiveness intervention on forgiveness, perceived stress and trait anger: A randomized trial. Journal of Clinical Psychology, 62(6), 715-733. Leider, R. (2015). The Power of Purpose: Find Meaning, Live Longer, Better. 3rd Edition. Oakland, CA: Berrett-Koehler Publishers. Lyubomirsky, S. Laura King, L., & Diener, E. (2005). The Benefits of Frequent Positive Affect: Does Happiness Lead to Success? Psychological Bulletin, 131(6), 803– 855. McGonigal, K. (2016). The Upside of Stress: Why Stress is Good for You and How to Get Good at it. NY: Penguin Random House, LLC. Pennebaker, J.M., Kiecolt-Glaser, J.K., & Glaser R. (1988). Disclosure of Traumas and Immune Function: Health Implications for Psychotherapy. Journal of Consulting and Clinical Psychology, 56(2), 239-245. Quy, L. (2012). Secrets of a Strong Mind. Ratey, J. (2008). Spark: The Revolutionary New Science of Exercise and the Brain. NY: Little Brown and Company. Reivich, K.J., Seligman, M.E.P., & McBride, S. (2011). Master Resilience Training in the US Army. American Psychologist, 66(1), pp.25-34. Resiliency Ohio. (2009). Insights on Resiliency: Utilizing Youth and Family-Based Evidence to Inform Policy and Practice. Retrieved from http://resiliencyohio.org/assets/resiliency_power_point.ppt. Rossi, E.L. (1991). The Twenty Minute Break: Reduce Stress, Maximize Performance, Improve Health and Emotional Well-Being Using the New Science of Ultradian Rhythms. New York: St. Martin’s Press. Rubin, G. (2015). Better Than Before. NY: Broadway Books. Schaefer, S.M.,Boylan, J.M., van Reekum, C.M., Lapate, R.C., Norris,. C.J., Ryff, C.D. & Davidson, R.J. (2013). Purpose in Life Predicts Better Emotional Recovery from Negative Stimuli. Plos.com. Retrieved from: https://doi.org/10.1371/journal.pone.0080329. Schwartz, T. & Loehr, J. (2005). Power of Full Engagement: Managing Energy, Not Time, is the Key to High Performance and Personal Renewal. New York: The Free Press. Seibert, A. (2015). The Resiliency Advantage: Master Change, Thrive Under Pressure, and Bounce Back from Setbacks. San Francisco, CA: Berrett Koehler Publishers, Inc.
Seligman, M. E. P. (2011). Flourish. New York: Simon & Schuster. Seligman, M. E. P., Steen, T. A., Park, N., & Peterson, C. (2005). Positive psychology progress: Empirical validation of interventions. American Psychologist, 60(5). Sergant, S. & Mongrain, M. (2014) An Online Optimism Intervention Reduces Depression in Pessimistic Individuals. Journal of Consulting and Clinical Psychology, 82(2). Smith. S. (2008). The Complete Guide to Navy SEAL Fitness. NY: Hatherleigh Press. Taylor, S.E., Klein, L.C., Lewis, B.P., Gruenewald, T.L., Gurung, R.A., & Updegraff, J.A. (2000). Biobehavioral Responses to Stress in Females: Tend-and-Befriend, Not Fight-or-Flight. Psychological Review, 107(3), 411-429. Trompetter, H.R., deKleine, E.,l Bohlmeijer, E.T. (2017). Why Does Positive Mental Health Buffer Against Psychopathology? An Exploratory Study on Self-Compassion as a Resilience Mechanism and Adaptive Emotion Regulation Strategy. Cognitive Therapy and Research, 41(3), 459–468. Troy, A.S., Wilhelm, F.H., Shallcross, A.J., Mauss, I.B. (2010). Seeing the silver lining: Cognitive reappraisal ability moderates the relationship between stress and depressive symptoms. Emotion, 10(6), 783-795. US Army Reserve. (2018). Master resilience training skills overview. Retrieved from https://www.usar.army.mil/MRT/. Wellenzohn, S., Proyer, R.T., & Ruch, W. (2016). Humor-based online positive psychology interventions: A randomized placebo-controlled long-term trial. Journal of Positive Psychology, 11(6), 584-594. Wood, A. M., Froh, J. J., & Geraghty, A. W. (2010). Gratitude and well-being: A review and theoretical integration. Clinical Psychology Review, 30(7), 890–905.